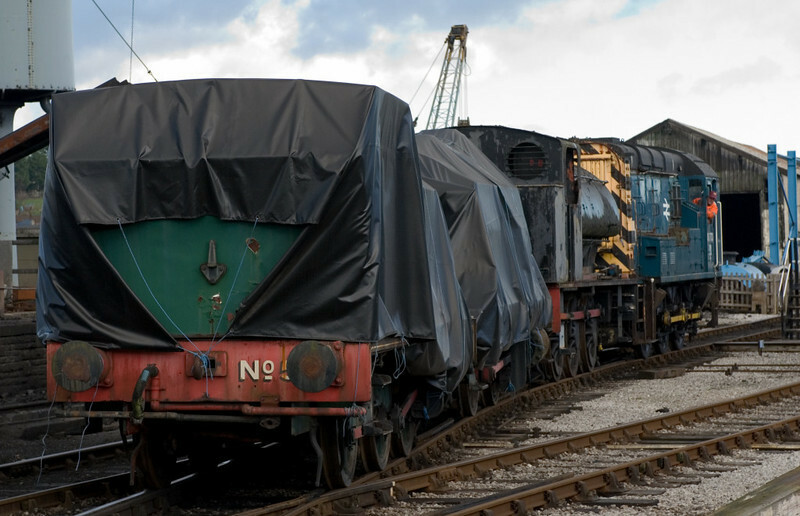 Slough Estates No 5, BEA No 2, No 69 & 08773, Embsay, 16 December 2006. Slough Estates No 5 is Hudswell Clark 0-6-0ST 1709 / 1939. BEA No 2 is 0-4-0ST Robert Stephenson & Hawthorns 7661 / 1950. No 69 is 0-6-0ST Hunslet 3785 / 1953.